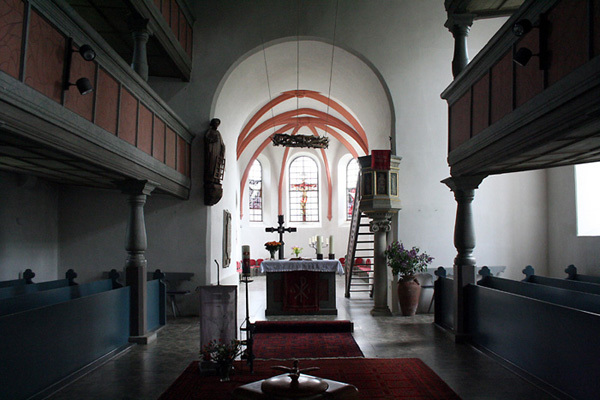 The Church at Meeder was founded early in the 8th Century by Irish monks who evangelized the tribes in Upper Franconia. 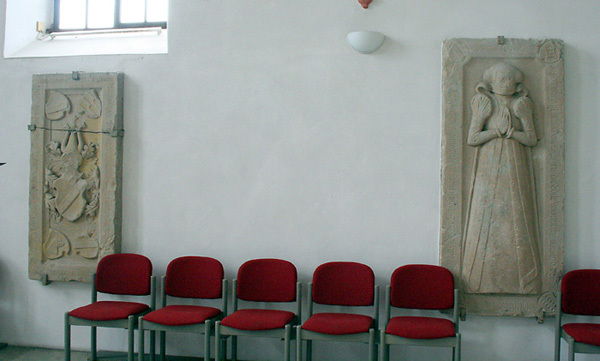 Evangelation of the area began around the year 684, when St. Kilian, along with eleven companions, traveled to Würzburg, where he succeeded in converting the local Duke. Shortly thereafter, however, St. Kilian was martyred, leaving his companions to continue the work of establishing the Church. 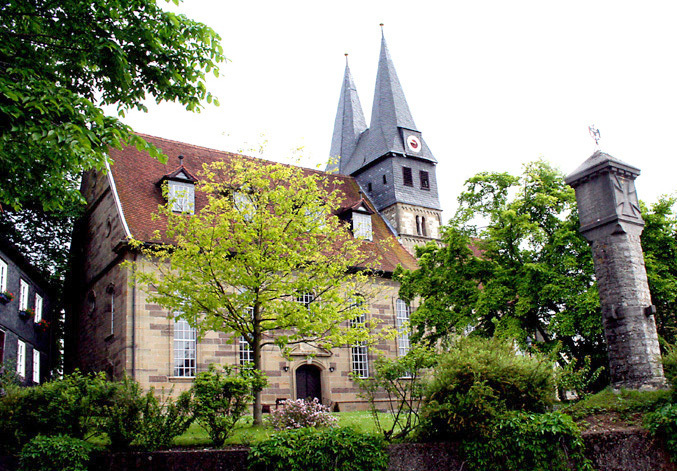 After a period when it was served by Würzburg, the Church at Meeder was assigned to a monastery in Veilsdorf. Later, in the 13th Century, Meeder served as the Diocesan Church for the area, until the Cathedral was relocated to the City of Coburg. 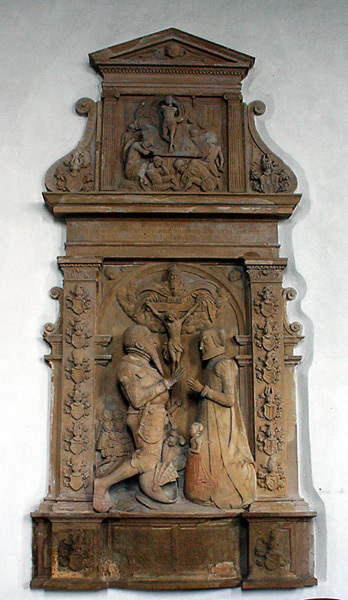 Finally, in the year 1524, duke John, Elector of Saxony made the Lutheran Church the State Church of his realm. The Church at Meeder has since been a parish of the Evangelical-Lutheran Church. 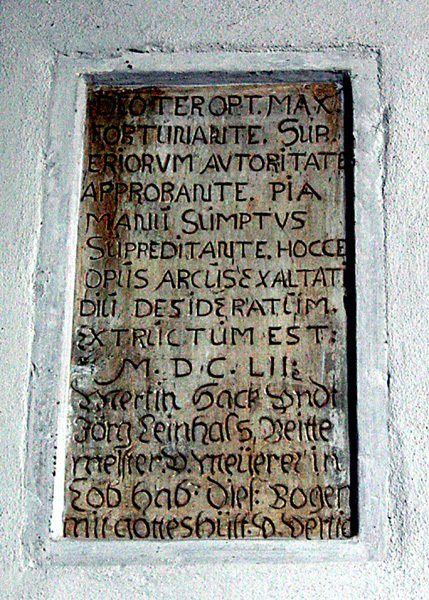 Certainly, church buildings existed at Meeder from the early times. However, the existing Church dates from three different periods. The Roman style Bell Tower is all that remains from a church built in the late 11th century or the early 12th century. The Choir (to the right of the Bell Tower) was added about 1440, when the Duke provided funds for its construction. The Choir was built in the Gothic style and houses the high altar used when the Church was a Roman Catholic parish. The final section to the left of the Bell Tower was built in the Baroque style in 1723 and houses the organ and seating for the congregation. Today, St. Laurentiuskirche is part of the Evangelical-Lutheran Church of Germany and serves Meeder and the surrounding area, including Moggenbrunn. 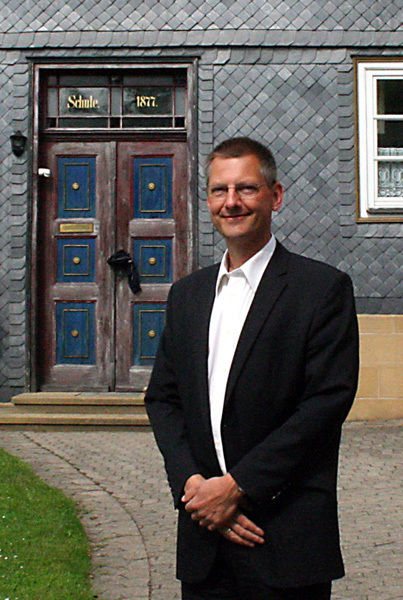 The Reverend Steffen Lübke has served as the pastor of St. Laurentius since 2003. 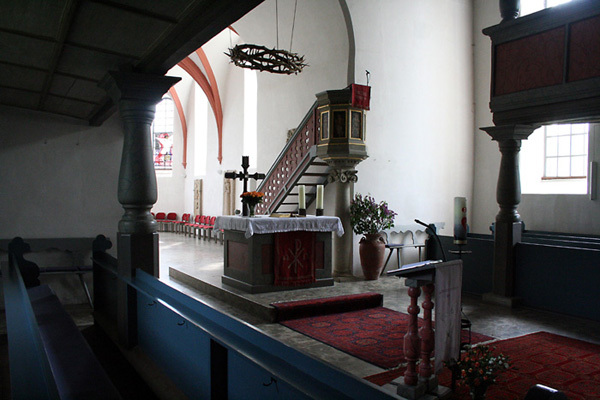 The interior of St. Laurentiuskirche can also be divided into three areas: the Choir, the Altar and the Pews. The Choir, at the far end, was the location of the high altar in Catholic times. Its walls are decorated with carved stones, several of which once covered the tomb of prominent individuals, dating back as early as the 11th century. The Altar, which occupies the space below the Bell Tower, is the center of worship. 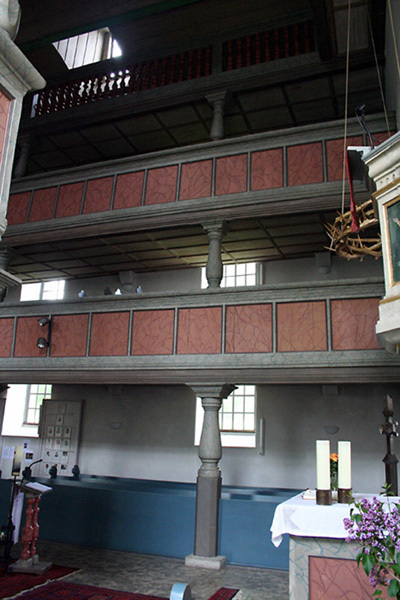 In addition to the altar proper, this area houses the raised pulpit. The Pews, occupy the newest section of the Church. Note the three levels of searing for the congregation. 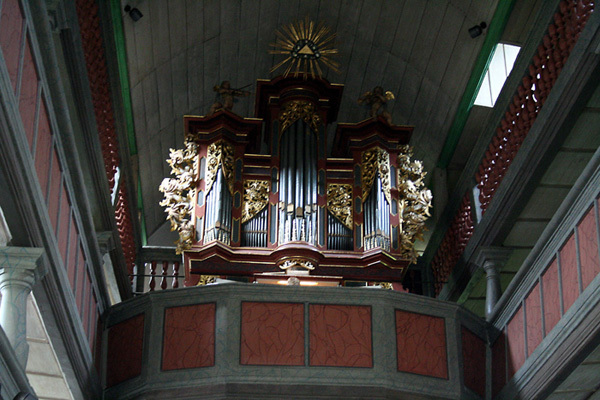 This area also houses the organ in the back of the Church on the second level. The Parish Hall is located near the far end of the Church. Until 1953, this building was occupied by a Public School. In 1982, the building was remodeled to include a Social Hall on the lower floor and a library and reading room on the upper floor. 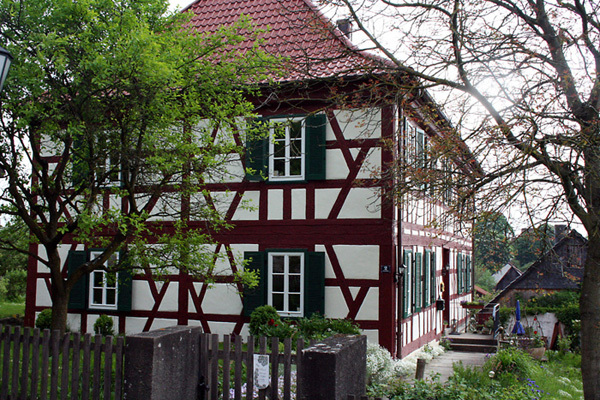 Across a narrow street from the Church, lies the Church's Parsonage. 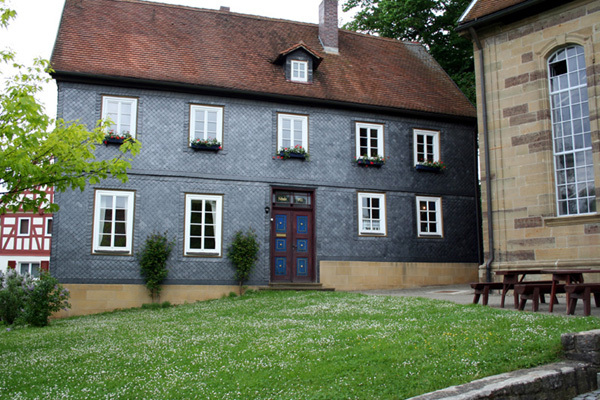 This two story building contains the living quarters of Pastor Lübke and his family, as well as his office and study. Behind the Church we find the Cemetry. 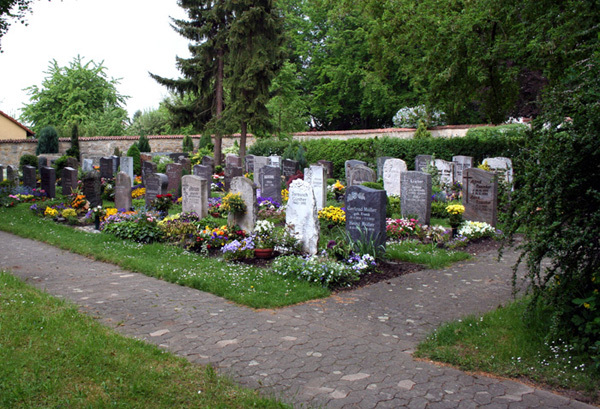 Typical of cemeteries in many European countries, the graves are carefully planted with flowers and shrubs, often by professionals. The result is lovely to behold.